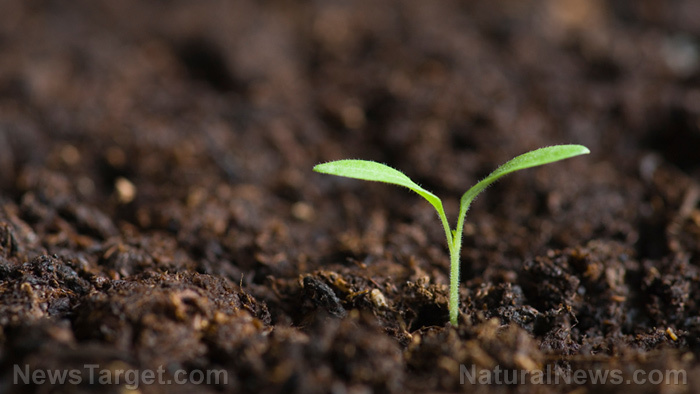 (Natural News) The thing about soil is that you cannot tell how healthy it is just by looking at it, and it can take years to determine the long-term effects of what you put in to it. For this reason, agrochemical companies have been able to push the use of harmful pesticides and other chemicals for decades without facing any consequences because, for a long time, nobody could be sure how much damage they were causing. It is a simple, but inescapable truth, however, that “whatever a person is sowing, this he will also reap.” We are now reaping what we have been sowing for decades. Years and years of pumping the soil full of chemicals has left it severely nutritionally depleted, low in microbial diversity and toxic to human health. The problem with humans is that they often focus on resolving problems in the here-and-now without understanding – or in some cases, caring about – the long-term effects of their solutions. As reported by Nutra Ingredients-USA, one example of this is the use of what is known as the Haber/Bosch process, a process created by German scientists at the beginning of the 20th century to convert nonreactive nitrogen into ammonia, the basic ingredient of chemical fertilizers. At the time, humans were facing potential starvation because the global population was exploding at a rate that agricultural production could not keep pace with. The Haber/Bosch process facilitated the fast production of chemical fertilizers, which in turn sped up the production of food. However, those scientists had no way of knowing that the agricultural runoff from these chemical fertilizers would result in oceanic dead zones decades later. Dead zones are areas of the ocean where oxygen levels are so low that all animal life suffocates and dies. There were 49 of these zones back in 1960, and a 2008 study identified over 400 of them. A decade later, there are almost certainly many more. Glyphosate – the primary ingredient in Monsanto’s Roundup weed killer – is the most-used agricultural chemical in the planet’s history. The world’s farms, and the foods they produce, are literally swimming in this toxic chemical. The World Health Organization’s International Agency for Research on Cancer (IARC) has warned that glyphosate is a “probable carcinogen” (cancer-causer). And a recent study has conclusively confirmed that this is not just a possibility but that it is definitively linked to a 41 percent increase in risk of developing a type of cancer known as non-Hodgkin’s lymphoma. [The] study, published this month in the journal Mutation Research/Reviews in Mutation Research, found that high exposure to glyphosate is linked to an alarming 41 percent increase in the risk of developing non-Hodgkin lymphoma (NHL). As reported by The Guardian, the study’s authors concluded that there is “a compelling link” between long-term glyphosate exposure and the development of NHL. Our soil is polluted, depleted and does not properly support the lives of the many microbes and insects that are dependent on it, and that our food crops depend on. Urgent steps need to be taken to stop the use of toxic agrochemicals and to restore the health of the soil that we are all dependent on for survival, or humans will be facing a catastrophe that they may have no way of averting. Learn more about what you can do to make a difference to our planet’s health at Environ.news.